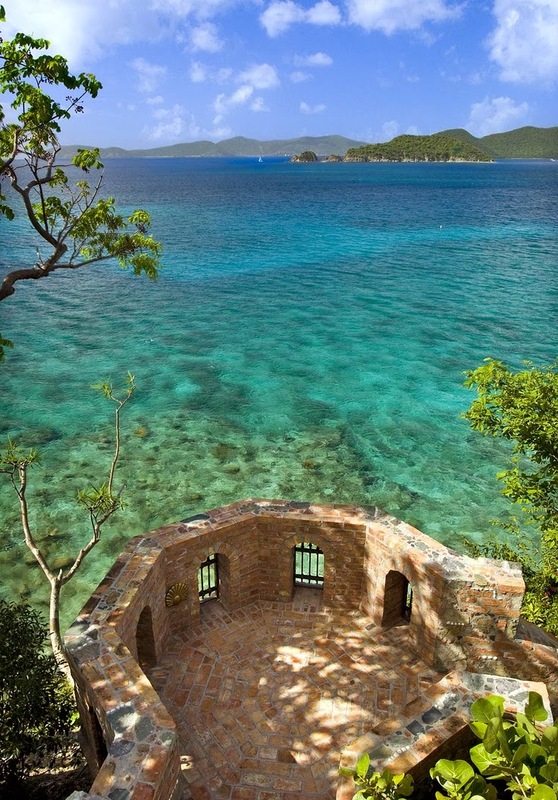 Presidio del Mar sits on its own promontory on St. John's spectacular north shore where the sky meets the Caribbean sea, a commanding and timeless presence which blends with the elements in perfect harmony. This impressive estate is beautifully rendered with every attention to detail throughout, integrating grace and comfort with elegant custom features, melding polished formal elements with a casual, low-maintenance island attitude. Privileged guests can relax, completely at ease within the grandeur of this superb six-bedroom villa, in its own realm within one and a half lushly-landscaped acres, secluded behind electronic gates.